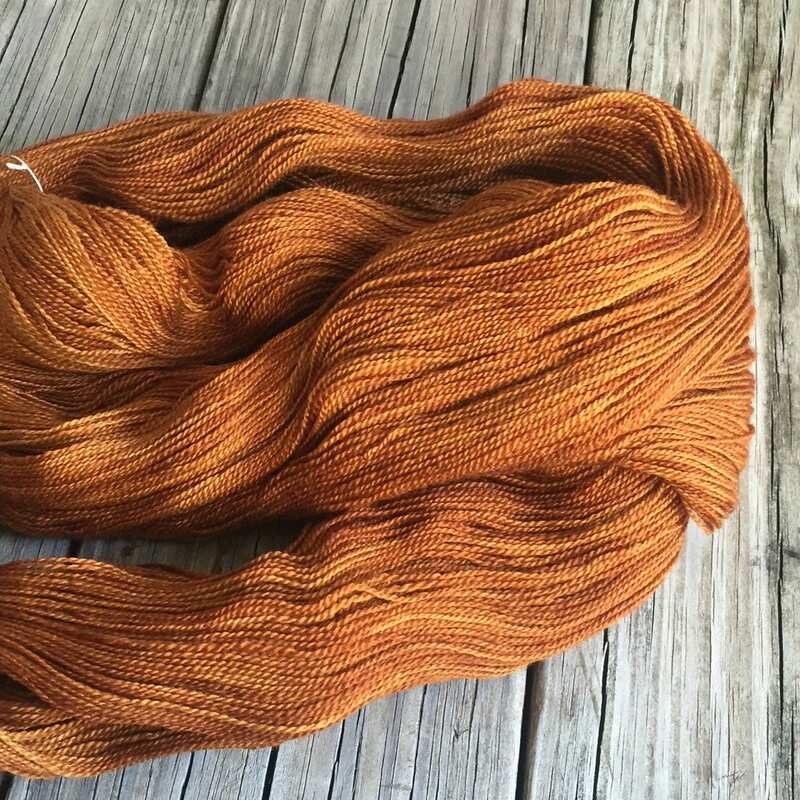 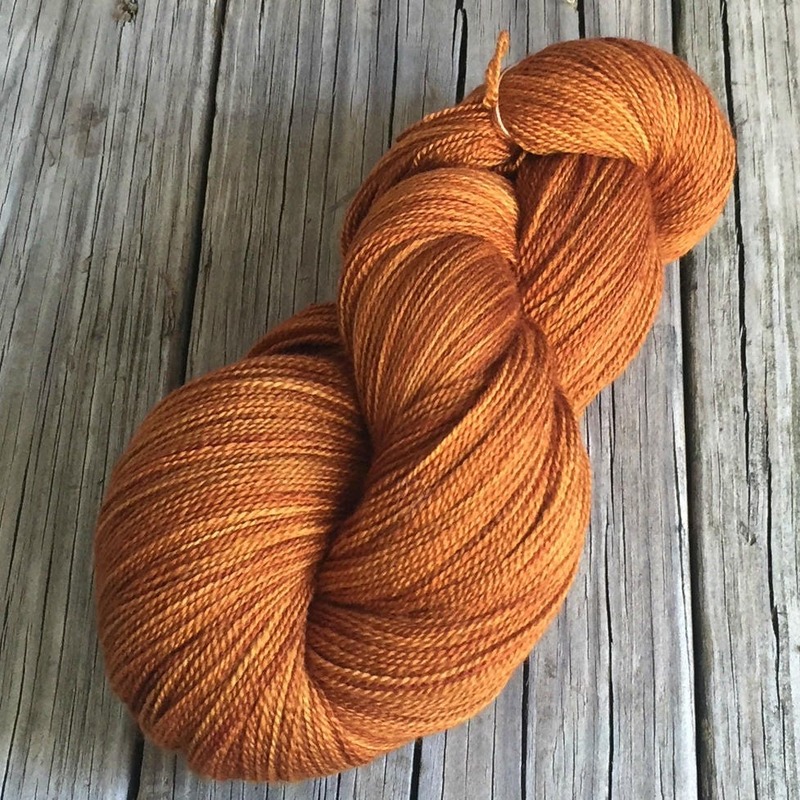 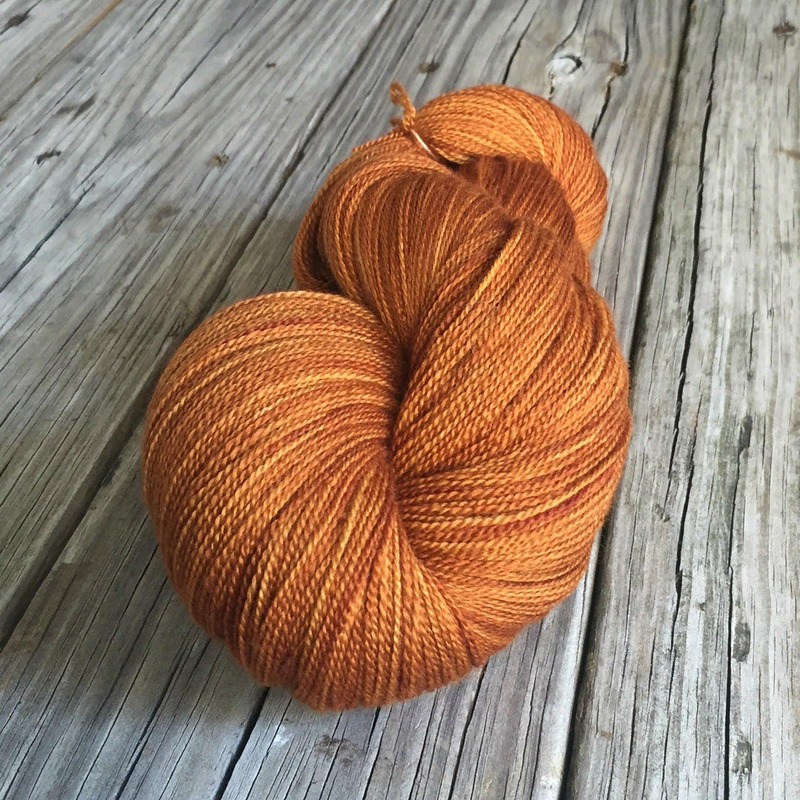 I dyed this yarn with professional dyes in shades of rich coppers, pumpkin spice and more. 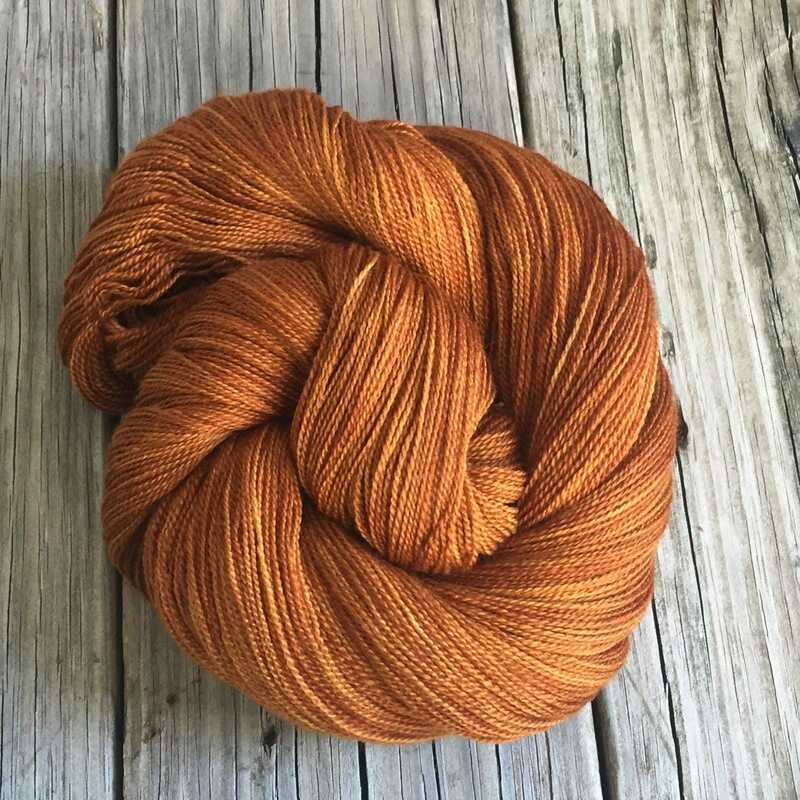 It's the color of copper mugs raised with the good "Yo Ho Ho!" 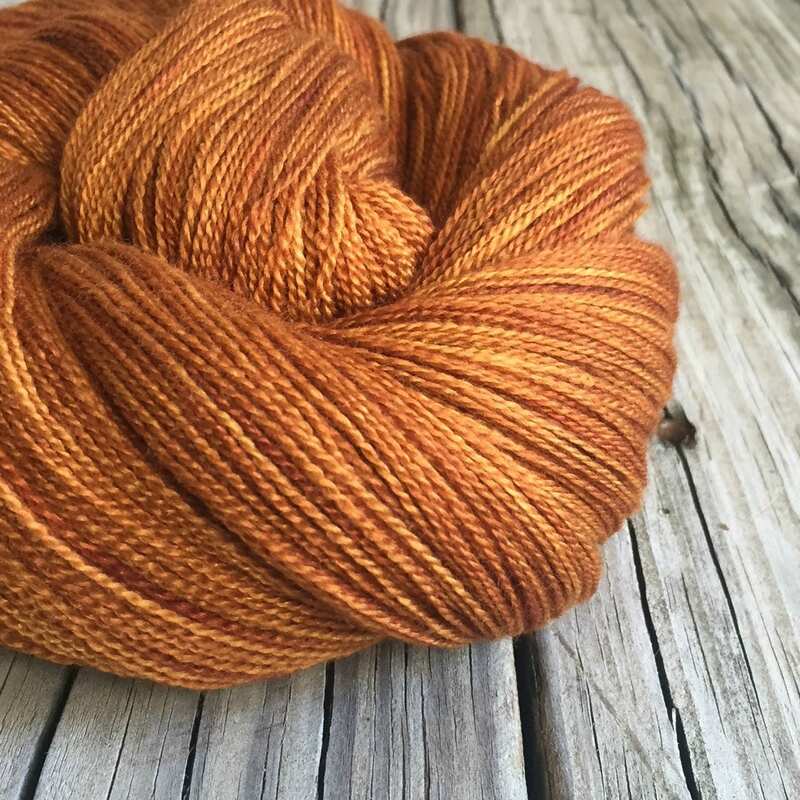 in pirate days of old!